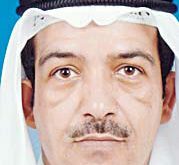 KUWAIT CITY, June 19: Kuwait stocks kicked off the week on a weaker note on Tuesday amid negative sentiment in global markets due to escalating US-China trade conflict. The All Share index plunged 16.01 points to close at 4,826.67 points. The Premier Market index trimmed 17.19 points to end at 4,805.16 points while the Main Market was down 13.86 points. The volume turnover meanwhile rebounded as 55.08 million shares changed hands, a 3.66 percent rise from the previous session. The sectors closed mostly lower during this session. Oil & gas outperformed with 0.76 percent gain while insurance shares slipped 0.96 percent, the worst performer of the day. In terms of volume, real estate notched the highest market share of 33.55 percent while banks trailed with 27.96 percent contribution. Among the notable movers, National Petroleum Services rose 11 fils to lead oil & gas shares higher while VIVA climbed 10 fils to KD 0.710. Al-Ahleia Insurance Co plummeted 20 fils, extending losses in the last session to KD 0.420. Humansoft Holding Co dropped 20 fils to KD 3.760 and United Projects Co was down by the same amount to KD 0.620. The best performing stock, National Industries Co gained 5.17 percent to KD 0.183 and Massaleh Real Estate Co plunged 13.52 percent to end as the worst performer. The heaviest-traded stock, Ajwan Gulf Real Estate Co tumbled 12.66 percent after trading over 12.2 million shares. Mabanee Co shrank 8 fils, trimming last week gains to KD 0.627 while Agility advanced 3 fils to extend gains to KD 0.766. 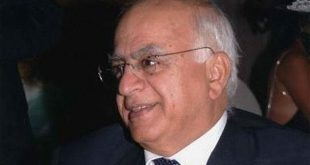 Mezzan Holding Co and GFH Financial Group shed 4 fils and 1 fil respectively. 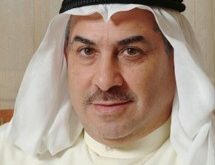 National Industries Group added 1 fil and Boubyan Petrochemical Co eased by the same amount to KD 0.153 and KD 0.829 respectively. 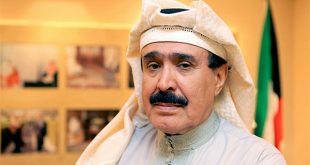 Kuwait Projects Co was up fils to KD 0.243 on the back of 1.3 million shares whereas Gulf Cable and Electrical Ind Co dropped 12 fils to KD 0.371. Kuwait Cement Co shed 9 fils in thin trade and Privatization Holding Co dipped 6.6 fils after trading over 1.3 million shares. 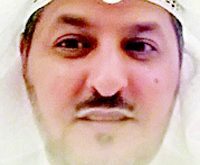 Kuwait Insurance Co rose 5 fils to KD 0.275 while First Takaful Insurance Co was up 1 fil. National International Holding Co fell 4 fils and Kuwait Foundry Co gained 4 fils, erasing losses in the previous session to KD 0.200. The market opened on a strong footing and ticked higher in early trade. The index continued to swing between gains and losses in a lackluster trade. The bourse, however, lost momentum in the last hour to finish in the negative territory. CBK sank 14 fils to drag down banking shares and Gulf Bank slipped 3 fils to KD 0.240 on the back of 5.2 million shares. Heavyweight NBK was down 1 fil while Warba Bank also lost 3 fils. 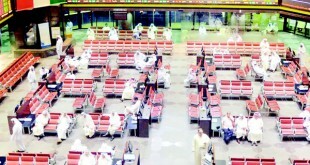 However, Al-Mutahed gained 9 fils to KD 0.272 after trading 2.2 million shares and Boubyan Bank closed flat at KD 0.503. KIB and Burgan Bank rose 2 fils and 3 fils to close at KD 0.222 and KD 0.253 respectively. KFH eased 2 fils after trading 2.2 million shares while AUB was down by 1 fil to KD 0.178 on the back of 1.3 million shares. Real estate shares eased 0.53 percent, weighed down by Massaleh and Aljwan Gulf Real Estate Co which shed 13.52 percent and 12.66 percent respectively. 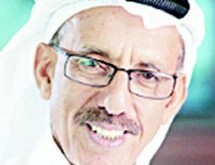 Kuwait Real Estate Holding Co lost 4.18 percent and Kuwait Real Estate Co was down 1.48 percent. Al-Mazaya Holding Co gained 1.47 percent to 90 fils while MENA Real Estate Co advanced 3.57 percent. National Real Estate Co dialed up 0.95 percent to 106 fils and Sokouk Holding Co added 2.04 percent. Reflecting on the day’s downswing, the losers outperformed as 53 stocks ended lower whereas 34 advanced. Of the 104 counters active on Tuesday, 17 closed flat. 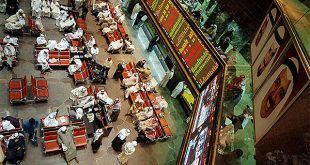 2,540 deals worth KD 10.3 million were transacted, a drop of 2.97 percent in value from last session. Oil prices dropped on Tuesday as OPEC ministers arrive in Vienna ahead of a official meeting Friday to discuss whether to hike output of oil and help limit a rise in global energy prices. 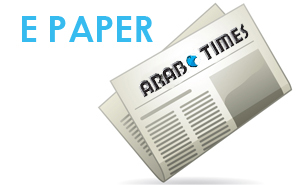 AlRai Media Group Co tumbled 3.67 percent and Combined Group Contracting Co gave up 0.48 percent in thin trade. Al-Aman Investment Co and Asiya Capital Investment Co advanced 3.59 percent and 4.34 percent respectively. 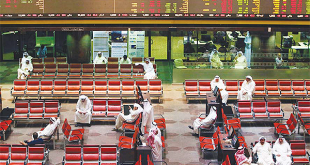 Senergy Holding Co rose 4.23 percent while Sultan Center Food Products Co added 1.87 percent. Gulf Cement Co plunged 4.64 percent whereas Boubyan International Ind Holding Co gave up 5 percent. 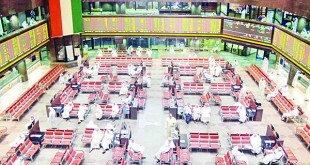 Gulf Investment House lost 4.32 percent and National Shooting Co was down 4.26 percent. Heavy Engineering Ind and Ship Building Co fell 0.32 percent to KD 0.307 while Qurain Petrochemical Ind Co eased 0.30 percent to KD 0.332. The market ended higher last week as the index advanced in the last three sessions. It has gained 90.95 points from the start of the month and trading 24.68 percent lower so far this year. Boursa Kuwait is the second largest market in the region with 175 listed stocks.